1. Download your free craft template and cut it out using your favourite paper. 2. To create the front flap, follow the cut guidelines for the centre of one the handles. Leave the flap to then gently fold over the bag. 3. Using the template guidelines, score and fold the paper to create the case for your bag. Use double-sided tape to hold in place. 4. To decorate the gift bag, we used decoupage paper to build the layers using 3D foam squares. 5. To complete your Easter Gift Bag, you can add paper flowers and adhesive gems or pearls. 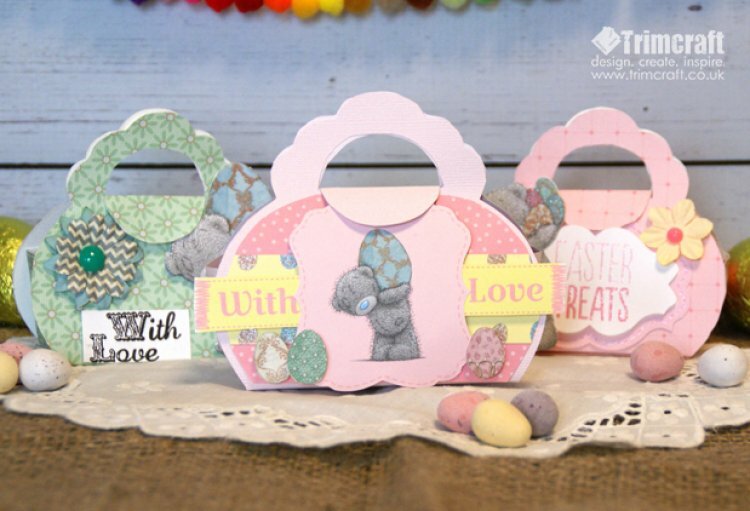 What crafty Easter projects have you made? Remember to share and upload them to the project gallery.